This young man was riding his bike to work when the signal turned red. He braked suddenly, which caused the car that was tailgating him to rear end his bike. This sudden impact caused him to lose his balance and fall directly on his chin. Of note, he was not wearing a helmet at the time of the accident. There were some minor bruises and lacerations, but what caused him great alarm were the grating noises he heard upon attempting to open his mouth and speak. Realizing that something was not right, onlookers at the site of the accident informed his parents over his mobile phone and took him to a nearby hospital for treatment. Doctors at the hospital administered first aid with thorough debridement of his lacerations due to the presence of road dirt. He was also administered a tetanus toxoid to avoid the possibility of tetanus. His parents had reached the hospital by then and they were informed that their son had multiple fractures to his lower jaw. 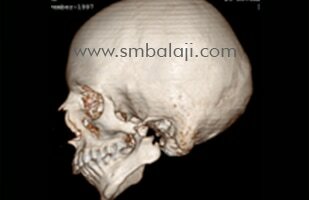 They referred the patient and his parents to Balaji Dental and Craniofacial Hospital as it is renowned for facial fracture surgery in India. 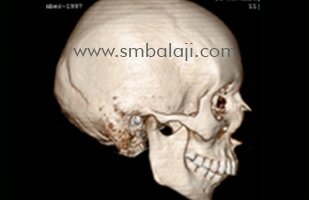 Many patients with fractures of the jaws are referred to us because we are a specialty jaw fracture surgery hospital. 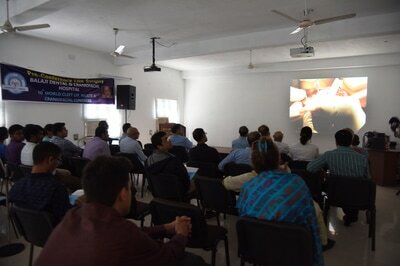 Dr SM Balaji examined the patient and ordered imaging studies upon their arrival at the hospital. 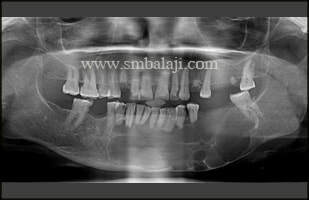 This revealed that the patient had a displaced fracture of the body of the mandible on the left along with a nondisplaced ramus fracture on the right. 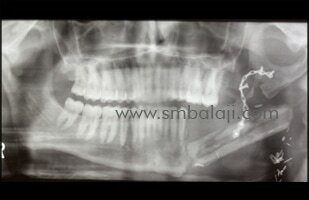 He also had a fractured lower left second premolar tooth. 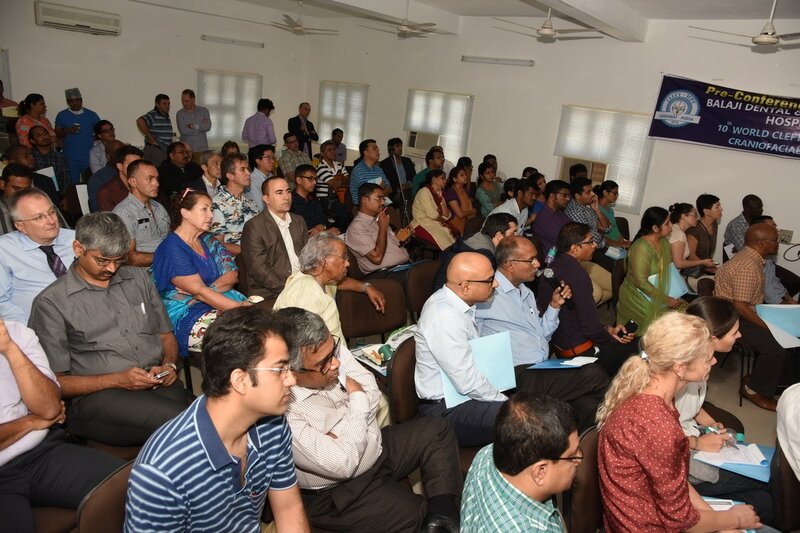 All the findings were explained to the patient and his parents. It was advised that he emergently undergo open reduction and internal fixation of the two fractures with titanium plates and screws along with extraction of the fractured tooth. They were also informed that his jaws would be wired shut for a period of 2-3 weeks following surgery to allow for the bones to be held stable during the healing period. They were in complete agreement with the treatment plan and signed the written informed consent for surgery. The patient was taken to the operating room and placed under general anesthesia. 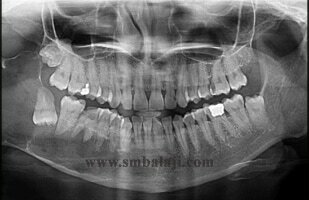 The fracture sites were accessed through intraoral incisions to avoid any visible scars on the patient’s face from the surgery. The fractured tooth was then extracted. 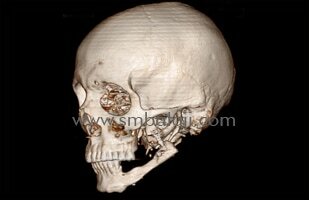 The displaced body of the mandible fracture was addressed first. 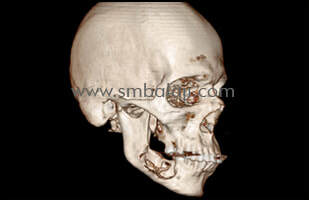 The fractured segments of the mandible were stabilized and fixed using titanium plates and screws. A similar procedure was then performed on the right ramus fracture. 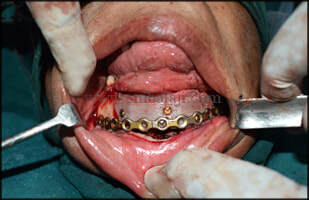 Correct occlusion was ascertained before fixing the fracture with the titanium plates and screws. 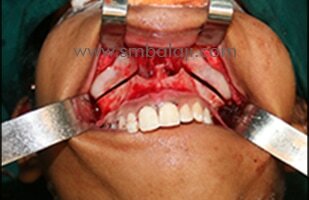 The patient’s jaws were then wired shut using Intermaxillary fixation. 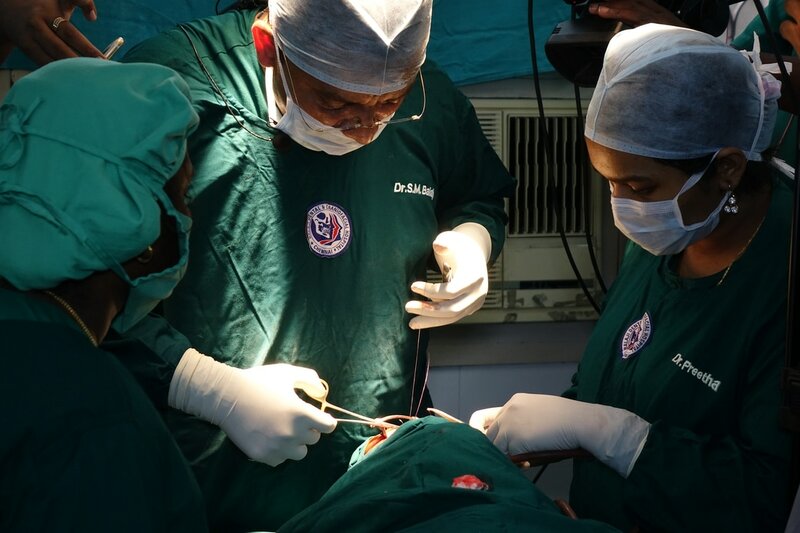 The patient was advised to stay on a liquid diet until his jaw wiring was removed and to stay on a soft diet for a further fortnight after that. Surgical results were excellent and the patient and his parents expressed their complete satisfaction at the results of the surgery. This is a 19-year-old female from Bhopal. 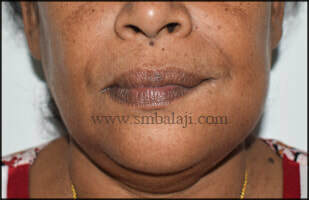 She has a known history of bilateral cleft lip and palate. She had undergone multiple surgeries for cleft lip repair and palate repair. 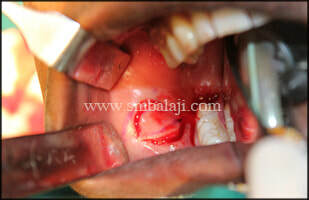 Alveolar cleft defect reconstruction was also done. 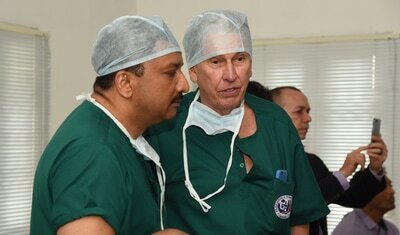 All the surgeries were done elsewhere. They have a familial history of cleft lip and palate. It was passed down through generations. She presented with a complaint of backwardly placed upper jaw. This gave her an aged look. She was also unhappy with her face. The patient wanted to have a more pleasing face. She was unable to bite and chew food. A local dentist had mentioned that her upper jaw was small at a young age. He stated that she will have orthodontic problems in the future. He started noticing the difference when she was in a mixed dentition period. 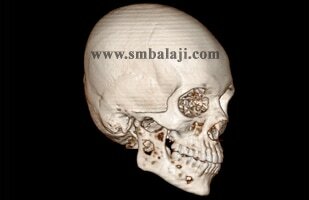 He had suggested that she would require orthognathic surgery at a later age or risk developing jaw joint pain. ​She had an abnormal bite. The upper and lower jaw was in an abnormal position. 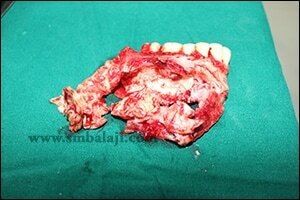 Every single tooth including the upper molars was also abnormally placed. She had an anterior and posterior crossbite. This is also known as a complete crossbite. 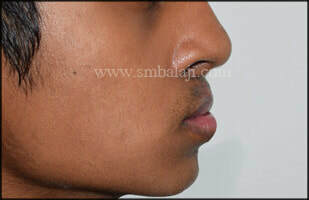 The patient had a more curved facial profile. Her profile was concave. 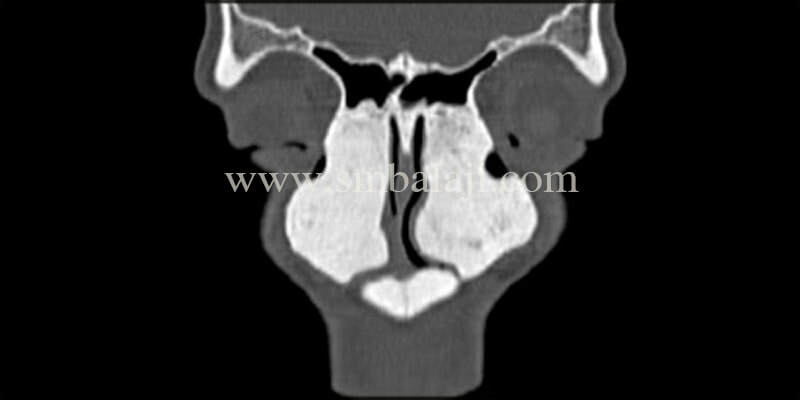 This showed that she needed advancement of the maxilla. 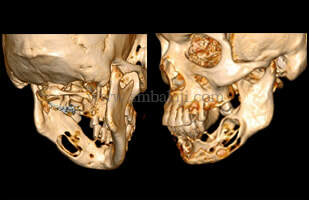 ​Radiological evaluation revealed backwardly placed upper jaw. 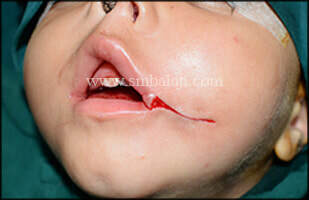 This was due to restricted growth of maxilla. The growth of mandible was normal. 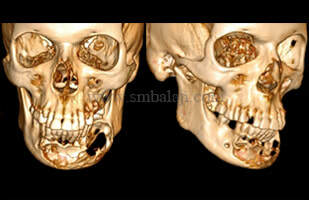 Since the maxillary jaw growth was restricted, the mandible looked longer. The upper front teeth were placed inside the lower front teeth. 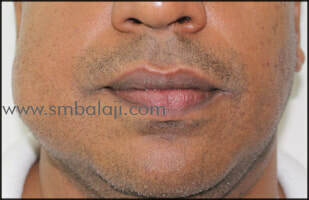 ​Maxillofacial surgeon Dr.S.M.Balaji advised upper jaw surgery by bringing the maxilla forward. 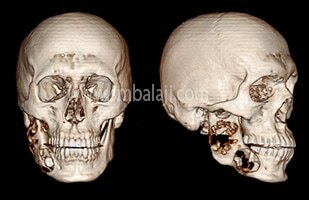 Maxillary advancement was planned by Le Fort I osteotomy. The segment was to be fixed using Ti plates and screws. 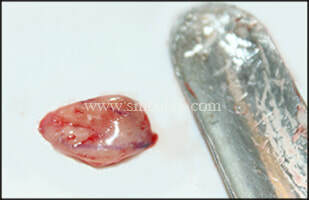 An incision made in the maxilla. Flap elevated. Bone cuts made above the apices of the teeth. Pterygomaxillary dysjunction done. 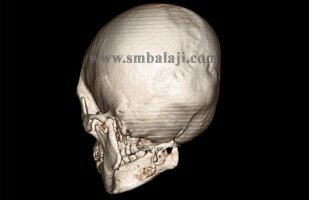 The maxillary segment was mobilized. The maxilla was pulled forward. 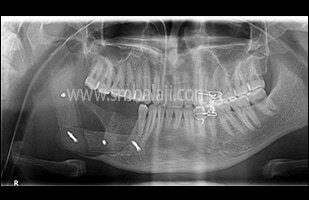 It was brought in occlusion and fixed using Titanium plates and locking screws (Ti L plate). 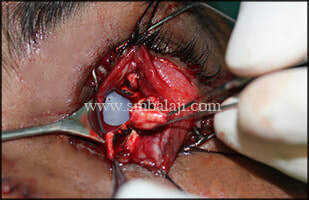 The maxillary vestibular region was sutured. ​The patient was greatly satisfied with the results. The surgery was successfully performed. The maxilla was successfully brought forward. The anterior crossbite and posterior crossbite was corrected. The patient will, however, require post-surgical orthodontic treatment for minimal teeth alignment. 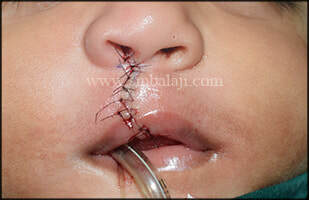 ​This is a case of macrostomia (lateral facial cleft) in a 1 year old baby girl from Siliguri. 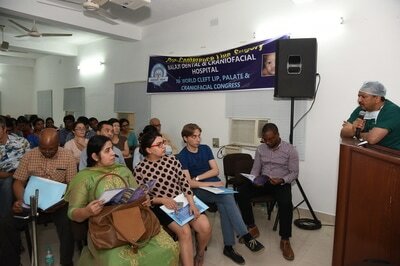 The parents brought the baby seeking the best surgical treatment for the correction of wide mouth and the asymmetric appearance of the baby without much visible scars on the face. Surgical correction of macrostomia is challenging and more complex as it aims in restoring back the normal appearance while at the same time maintaining the normal functions like speech, blowing, etc. 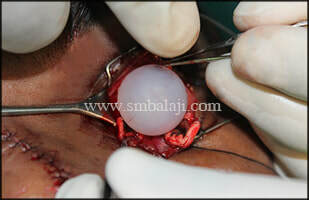 Maxillofacial Surgeon Dr. S. M. Balaji successfully corrected the macrostomia using vermillion return flap technique. Results are immediate and the parents feel very happy to see the negligible scar formation, following suture removal. This patient reported to me with the complaint of facial swelling for past 5 months which became noticeable for last 10 days. 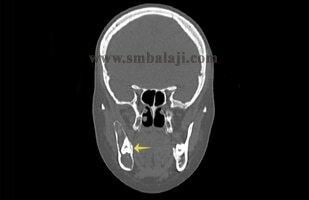 After thorough clinical, radiological and histopathological examination, Maxillofacial Surgeon Dr. S. M. Balaji diagnosed it as Odontogenic keratocyst (OKC) involving the entire left body and anterior region of the mandible. 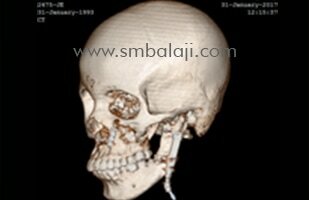 Surgical treatment was planned to remove the entire cystic lesion and reconstruct the affected jaw portion in a single stage. 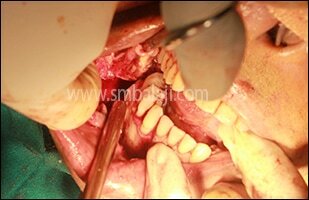 Costal rib graft was harvested for the reconstruction of the mandible. 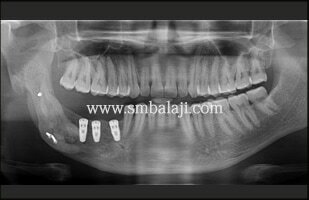 Through intraoral approach, crevicular incision was placed in the mandibular anterior teeth region extending posterior till mandibular notch, gingivomucoperiosteal flap was raised, cystic lesion was surgically exposed and the affected portion was removed along with the involved teeth in toto and reconstruction was done using long titanium bone plate and costal graft maintaining the contour of the mandible. 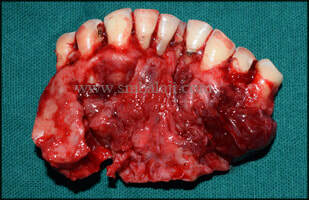 After successful graft uptake, dental rehabilitation will be done using dental implants in the newly formed bone. 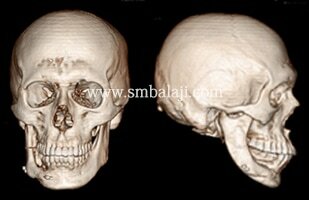 This is the case of post traumatic secondary facial deformity in a 25 year old boy from Kolkata. 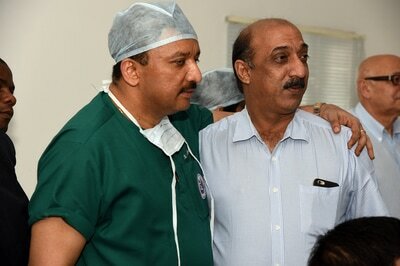 He gave a history of RTA 3 years back and had first aid, primary reconstruction surgeries elsewhere. 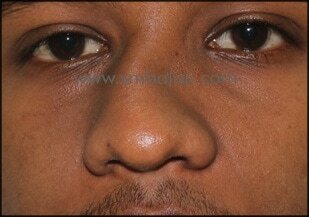 On examination, he had defective left eye prosthesis and deformed nose. He was very conscious about his looks and lost his confidence due to the defective appearance. Maxillofacial Surgeon Dr. S. M. Balaji surgically corrected the defective appearance of the boy without much visible scars on his face. 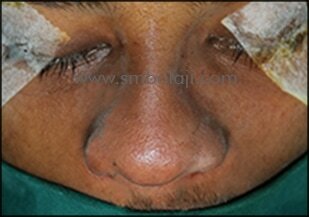 The defective eye prosthesis was removed and orbital content was reconstructed using buccal tissue graft and silicone orbital implant. 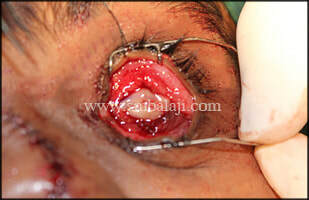 Artificial eye prosthesis in close resemblance to that of the right eye was fixed. This improved his overall appearance. Through the previous scar, defective ala of nose was corrected using chondral graft obtained from the rib cartilage. The boy is very happy for the successful facial reconstruction. This helps in regaining his self confidence. 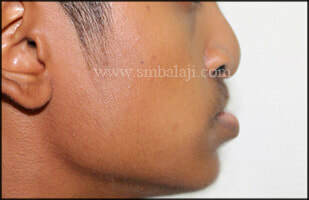 A young man from Singapore reported to me with the complaint of huge swelling in the right side of his face. 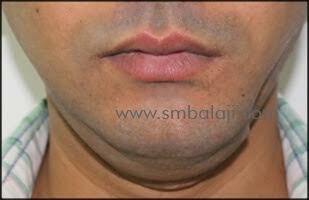 He added that the size of the swelling was increasing progressively which made his face asymmetrical. He was very cautious about this progressive swelling. 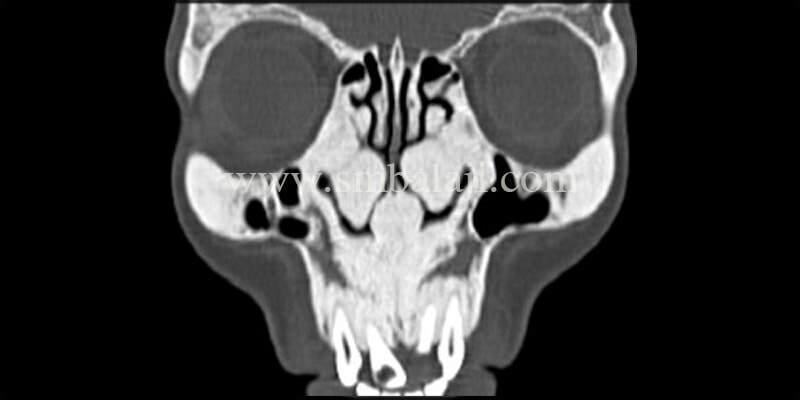 Added he had histopathological examination of the intraoral tissue done elsewhere diagnosing as plexiform ameloblastoma. 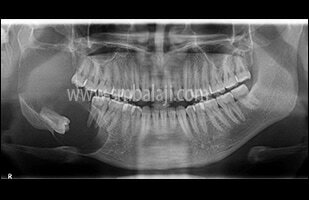 After thorough clinical and radiological examination, Maxillofacial Surgeon Dr. S. M. Balaji planned to remove the lesion and reconstruct the affected jaw portion in a single stage. 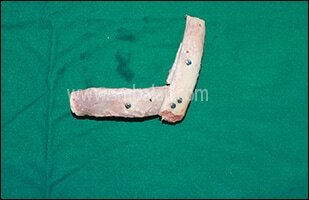 Intraorally, complete removal of the benign lesion with sufficient clearance of the bone was done following rib graft which was obtained was fixed to it. 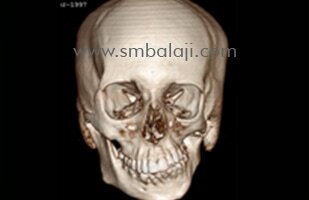 Patient was happy to have both removal and reconstruction in a single surgery. 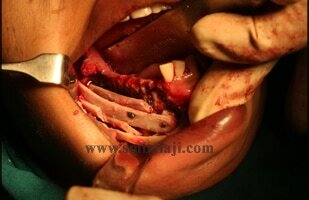 A 30 year old man from Bangladesh reported to us seeking reconstruction of left side of his lower jaw. 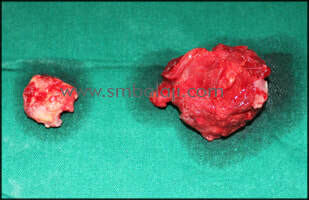 Intraorally, a bone graft was exposed and huge infection with pus discharge adjacent to the exposed region was noticed. 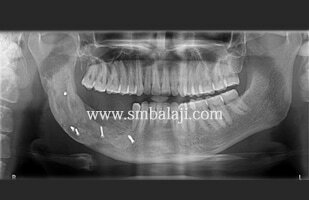 He gave a history of dentigerous cyst in the left side of the lower jaw, the affected portion of the lower jaw along with the involved teeth were removed elsewhere and the jaw was reconstructed with fibular and iliac bone graft with bone plate thrice, 2 years back. 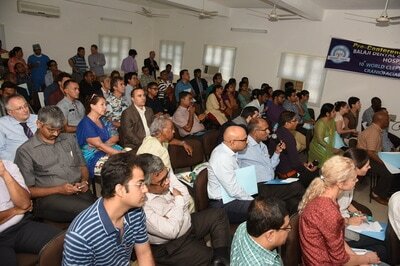 He was frustrated due to repeated surgeries, that too which had subsequently failed. 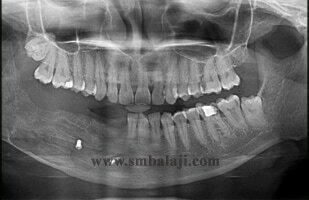 ​Maxillofacial Surgeon Dr. S. M. Balaji planned to remove the failed infected bone graft done elsewhere and to reconstruct the lower jaw in a single surgery. 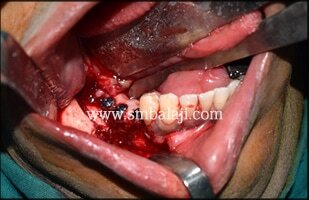 He approached the surgical site intraorally and removed the dislodged bone graft and sequestrum completely. Adjacent infected bone was removed with bone curette. 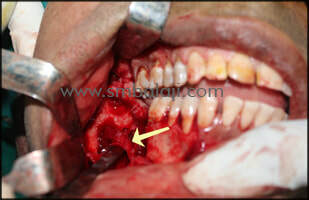 A rib graft was taken and fixed to the lower jaw left side to reconstruct the defect. rhBMP-2 was placed to increase the efficiency of new bone formation. Mucosal flaps were approximated in layers. 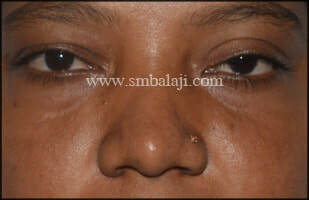 The patient is very happy to have entire surgery done in single stage without any scar on the face. The functionality of the lower jaw was also regained efficiently. 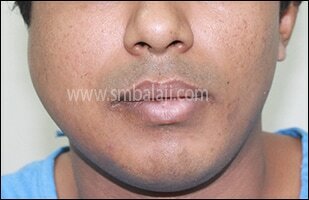 Unilateral cleft lip repair of a 15-month-old boy done by Dr. S. M. Balaji. This is a 15-month-old boy who was referred by Dr. K. K. Raja, Head of the Department, Oral and Maxillofacial Surgery, SRM Dental College and Hospital to Dr. S. M. Balaji for the purpose of demonstrating a cleft lip repair as part of the preconference live surgical demonstration of the 10th World Cleft Lip, Palate, and Craniofacial Congress. 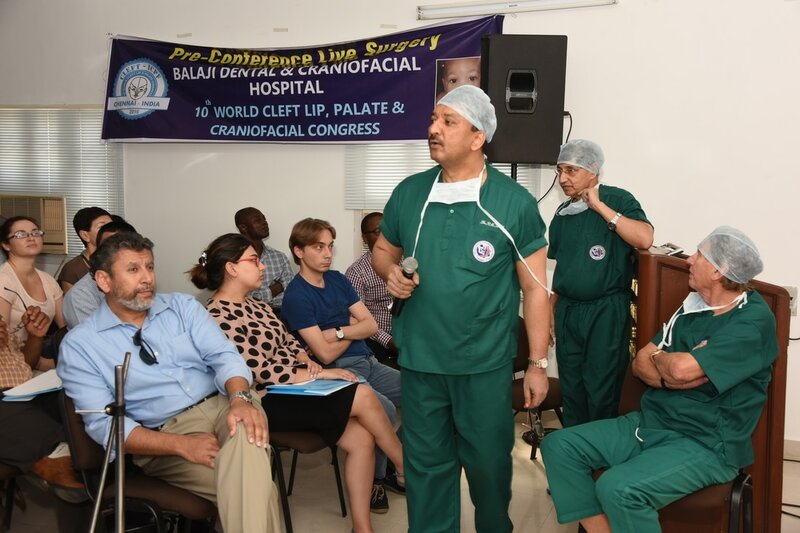 Oral and maxillofacial surgeon Dr. S. M. Balaji decided to proceed with a modified Millard Noordhoff left-sided cleft lip repair. This was performed at Balaji Dental and Craniofacial Hospital, Chennai. 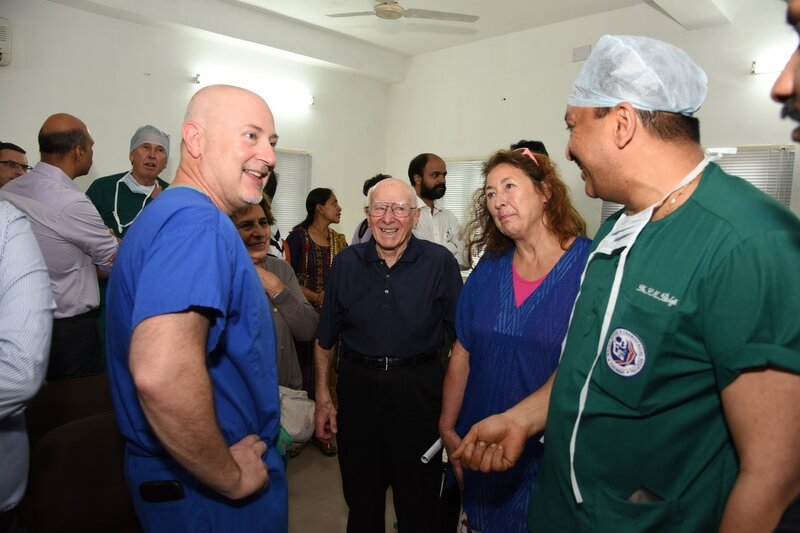 This surgery was done to rehabilitate him and help him feed normally as good nutrition is extremely essential for an actively growing little child to develop normally in all parameters. From the aesthetic point of view also, the importance of this surgery is paramount as it would enable him to interact well with his peers as well as other older individuals. The surgery was a complete success. 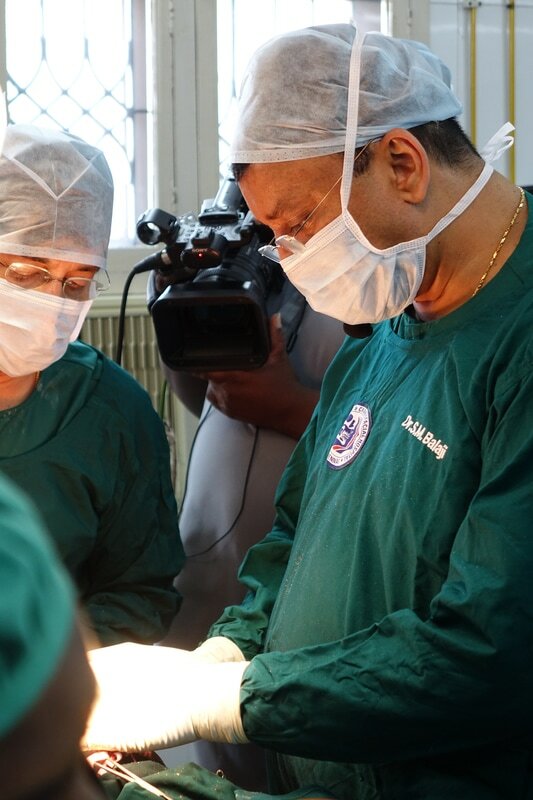 The scar that resulted from this was negligible and his parents expressed their appreciation of how Dr. S. M. Balaji was helping in transforming his life for the better.